The Balinese have a unique way of locating themselves. “North” is not always “up”, unless it’s uphill to the volcano. My daughters tell me that I’m at risk of flexing here, but bear with me. 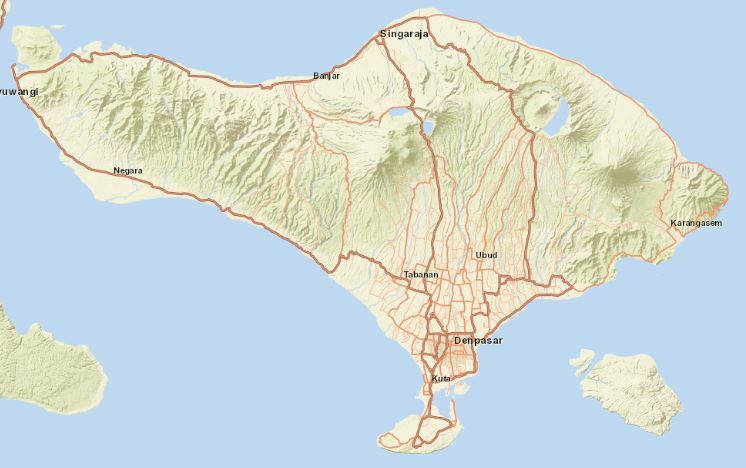 We were lucky enough to spend some time in Bali recently and while there are heaps of things I’d love to write about (the food, its 1000 year old successful system of water management, the monkey that bit me, and don’t even get me started on Balinese calendars) but this being the GIS Blog, I’ll wax lyrical (Yeah, right – Ed.) about their unique coordinate system. We’ve talked about coordinate systems previously and how fundamental they are to GIS and geographic data. GIS only works because of coordinate systems and most of them play fairly happily together. The coordinate system is clearly visible in the blue grid lines, oriented N/S and E/W, and numbered in a systematic way. Each “cell” is 1 km by 1 km in size. 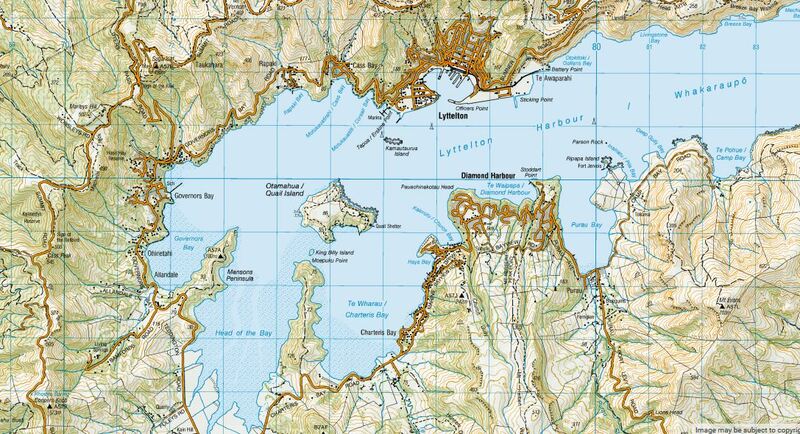 Looking more closely at the map details, we can see that true north is “up”, at the top of the map – and, to boot, north is always in the same place on the maps that cover the whole of NZ. Nothing new here really. On a day to day basis we often use north to orient ourselves, maybe by paying attention to where the sun is in the sky (and the time of day) or by using an old school compass, or, increasingly, our phones (maybe even the direction all the satellite dishes are pointed in as well). In any case, north is a constant – it’s always, well, north. This is of course true in Bali, but on a daily basis, their sense of orientation is not fixed. To be more precise, it is fixed, but it changes depending on where you are. 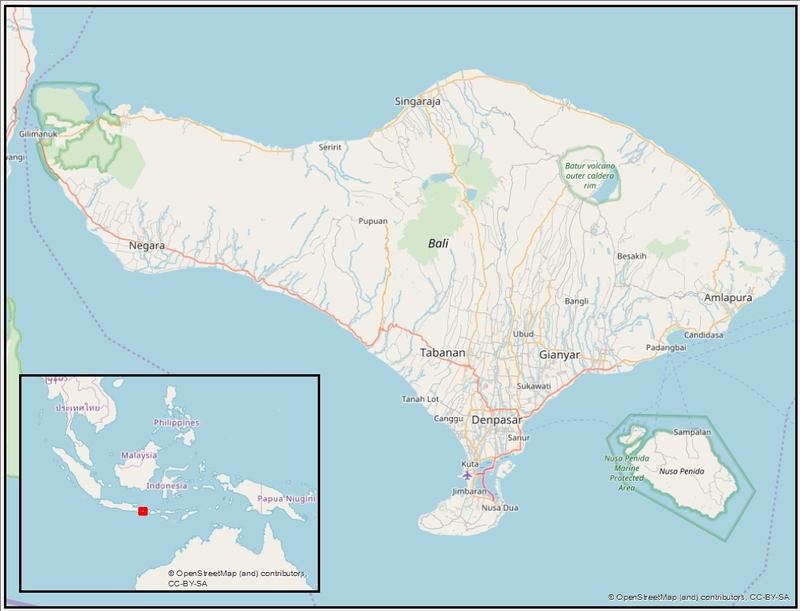 In the larger spatial context, Bali is one of Indonesia’s multitudinous islands. Despite being part of the world’s most populous Muslim country, Bali is an outpost of Hunduism, and Hinduism with its own unique flavour: Hindu Dharma. Many people fly in to Bali (especially after Eat, Pray, Love, a very mixed blessing) and stay in Kuta, just north of the international airport. To the south is the famed Uluwatu (aside: I spent much of my youth reading surfing magazines that featured the famous break there – it attained mythical status in my mind. It didn’t help that I was stuck in the middle of the North American continent) while many travel further north to Ubud, the cultural centre of the island. Fewer travel further afield, and those who do are not disappointed. The people are amazing and the culture feels very much alive. Every village has at least one temple, and usually three and processions occur almost daily. Everywhere one goes, offerings to the gods are always underfoot. (On the map above, the volcanoes visible in this photo are the ones clustered roughly in the centre of the island.) The highest volcano on the island at 3,031 m.a.s.l. is Gunung Agung and is also the most sacred. Here is where the gods live and was actively erupting only a matter of months ago. The sea is the domain of the demons, and in between, on the volcanic slopes and sculpted rice paddy terraces, is the domain of the humans. And this translates to how the Balinese orient themselves. 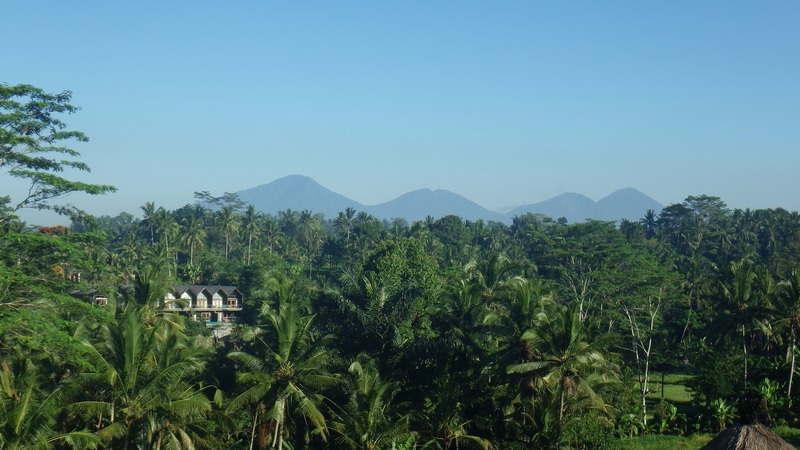 In the Balinese language, the direction towards the mountains is “Kaja” and the opposite direction, towards the sea, is “Kelod”. 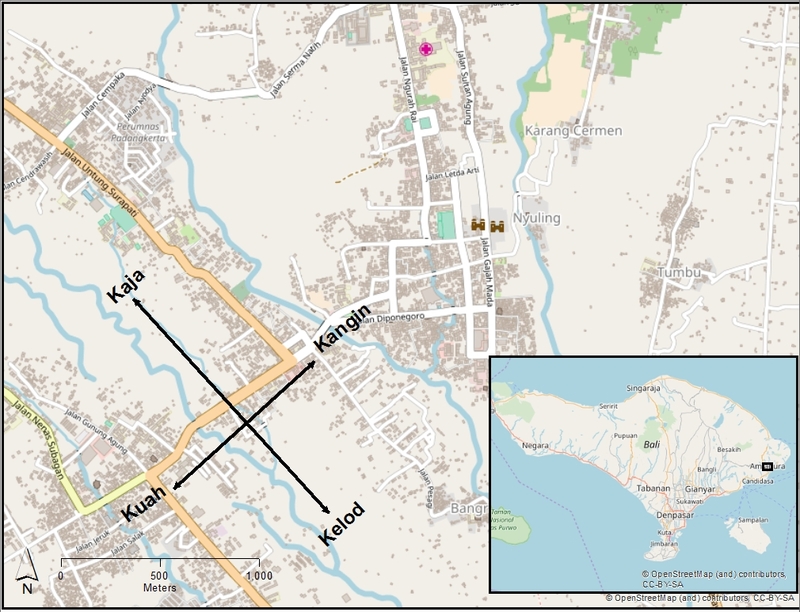 Most villages are oriented along this line – the uppermost part of the village is kaja and the lower end is kelod. (Of course this also corresponds to the direction of water flow – not coincidentally. You could also think of these terms as upstream and downstream). The directions perpendicular to the kaja-kelod axis are a bit harder to pin down. In general (and it may not sound too surprising at this point), the emphasis is on the direction to the rising and setting sun. “Kangin” is towards the rising sun and “Kuah” is its opposite – and kangin is held to be more important than kuan. The kangin-kuan axis seems to be perpendicular to the kaja-kelod axis (I’m still trying to work this one out). There’s a vertical axis as well – “Luan” refers to upper areas while “Teben” is lower areas. Kaja, kangin and luan are associated with being holier, cleaner and calmer than kelod/luah/teben. It ties in with the body, too. 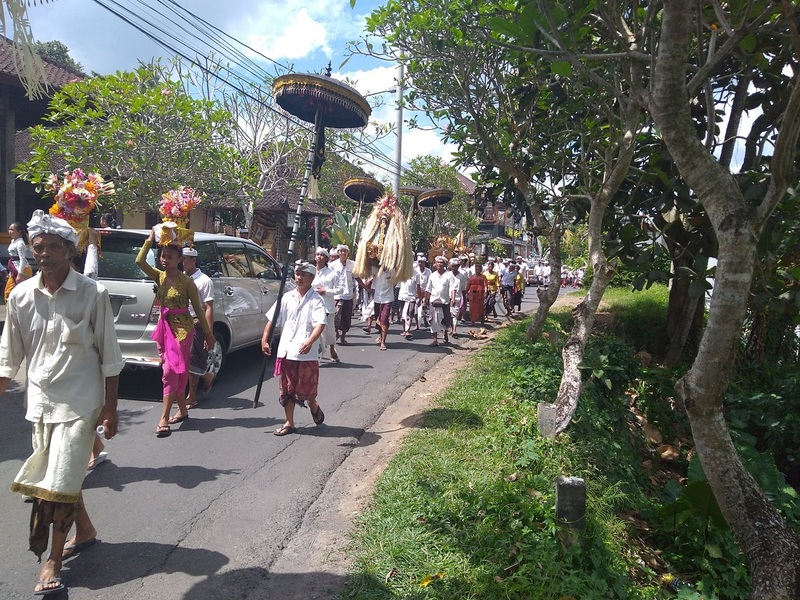 The head is luan, and therefore more sacred than your dirty, teben feet – one reason why one should never touch a Balinese on the head without permission. And as water flows through a village from kaja to kelod, its quality degrades to become unclean, more confused and dissipated at the kelod end. Earlier I mentioned that most villages have three temples: the temple closest to the mountains is known as the Pura Desa temple (pura = temple) and honours the ancestors that started the village. It is usually dedicated to Brahma and is the centre of religious ceremonies. Further downslope and in the centre of the village is the Pura Puseh, or village temple. These are dedicated to Vishnu (Wisnu in Bali). At the bottom (kelod) end of the village is the Pura Dalem temple, the temple of the dead, and is dedicated to Shiva (Siwa in Bali). Here is where the village cemetery is and where cremations occur. While not adhered to so strictly, many Balinese house compounds also are also oriented to these directions. The family compound may be oriented with the sleeping quarters and family temples at the kaja/kajin end of the section and the kitchens and working areas at the kelod/kuah end. The entrance through the compound wall is usually on the kuah side. 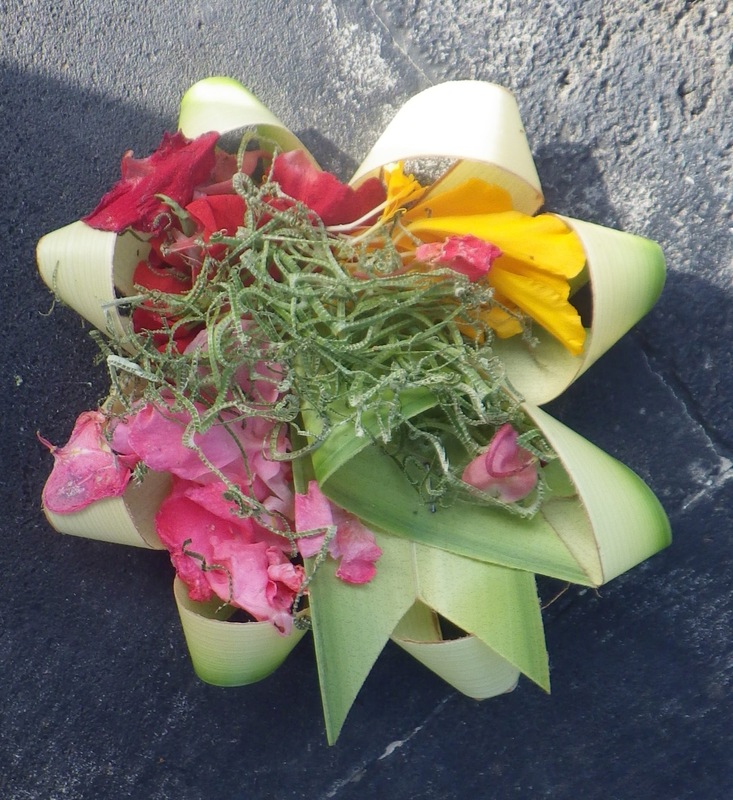 Balinese prefer to sleep with their heads in the kaja/kangin direction with their feet in the kelod/kuan direction. But travel to the beautiful north coast, and the mountains are south. 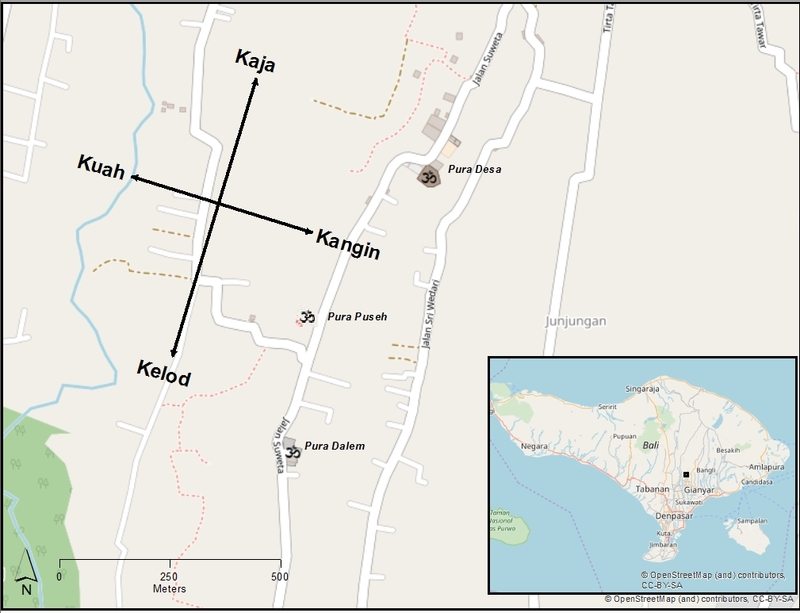 So in Singaraja, kaja is now roughly southeast and kelod is northwest – kangin and kuah switch sides top align with the rising and setting sun. On the east coast, say at Amlapura, kaja is northwest and kelod is southeast, and so on. Kaja is in the direction to the nearest visible volcano, so which compass direction that relates to depends on where you are. This could certainly cause problems when asking directions! 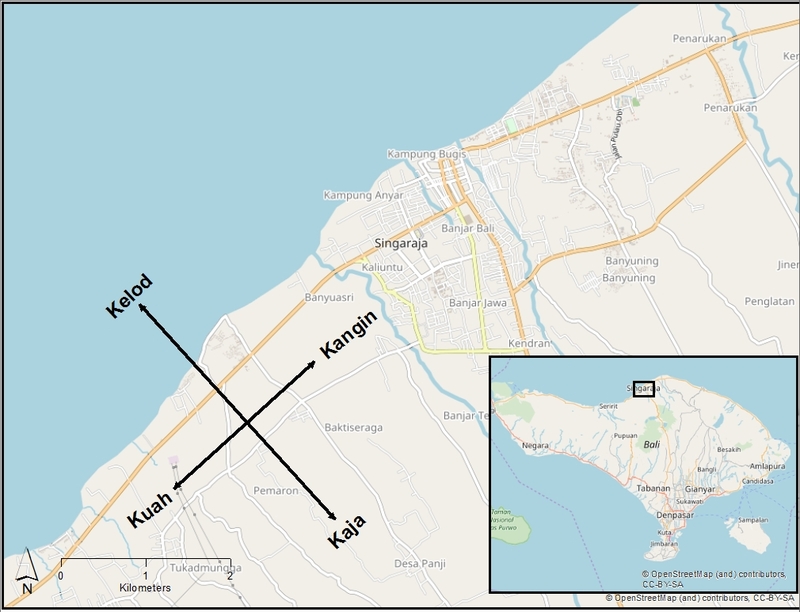 The kangin-kuah axis gets a bit interesting in certain parts of Bali. As best as I can tell, kangin points as close as possible towards the rising sun while still remaining perpendicular to the kaja-kelod axis. Bali is about 5 degrees south of the equator (which means, among other things, that the sun sets by 6.30 and your in complete darkness by 6.45!) so the sun rises pretty close to due east. While this feels quite unique to Bali, it’s really not. Consider how New Yorkers refer to directions in Manhattan. The island is oriented roughly NE-SW yet ask directions and you’ll usually be told things like “head downtown” (towards the SW end of the island), or “uptown (to the NE), or even “crosstown”. More widely, “downtown” in general means head towards the central business district where all the tall buildings are (the domain of the financial gods?). There’s nothing really magical about north, south, east and west apart from it makes it easier for all of us to talk sensibly to each other about direction. The Balinese have gotten along for thousands of years without GPS, or needing to know which direction true north is. Day to day life is centred about the volcanoes, the sea, and the rising and setting sun. Nonetheless, as a GIS geek, I found Bali’s in-built coordinate system fascinating, especially seeing how it permeated most aspects of daily life. While I quite happily found myself in Bali, I didn’t really find myself, in the Eat, Pray, Love sense. (I’m pretty sure I already knew where I was) but it never hurts to have your sense of direction and place challenged. It often ends up making you appreciate that place even more.